Edgar Allan Poe's Snifter of Terror #5 Review – AiPT! Have you ever wondered what the Fall of the House of Usher would have been like had Roderick Usher been the President of the United States? Or if one Edgar Allan was the man to attempt to assassinate him? What if, on top of this, legends Peter Milligan and Richard Case were the creators? Are you clamouring for part two of Kek-W’s and Lee Carter’s adaptation of Le Duc De L’Omelette? Well, if these two graphic stories aren’t enough to tickle your fancy, then what about some prose? Like the fantastic ‘Coffee Pot of the Old Ones’ by Kek-W (writing as PW Dankwater) which tells the story of caffeine addiction like a long lost Lovecraft manuscript. The romantic ‘Cubed’ by Joachim Heijndermans along with ‘The Day After They Rounded Up Everyone Who Could Love Unconditionally’ by Robert Jeschonek offer some lovingly sad stories. That’s not forgetting ‘A Brief History of the Rest of My Life’ by Mac Cushing which is sure to bring a tear to your eye. Luckily, another Hunt Emerson cartoon ends the book to bring a much needed moment of levity. What’s not to love? Peter Milligan’s story is a work of art. With an editor like Tom Peyer and contributors like Milligan and Case, this story reeks of ’90s nostalgia whilst still remaining bitingly fresh. One of the best political stories of recent years, Milligan uses Poe’s original story masterfully to tell his own tale that comments on contemporary politics in its own way. 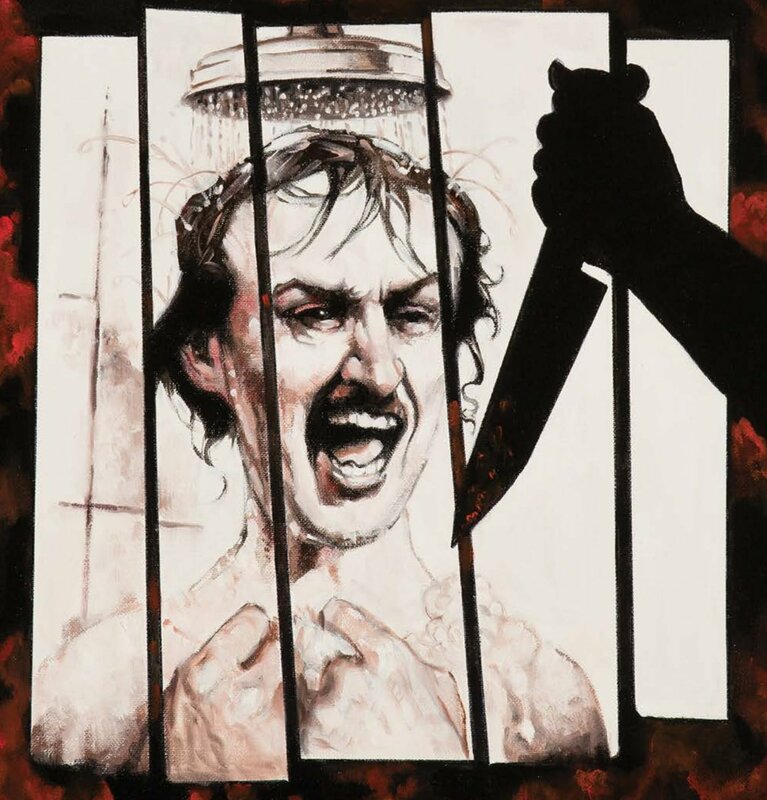 Along with Case the two tell a story that presents numerous laughable moments all the while keeping a strictly horror tone that stays true to Poe. There are many ways to respond to cultural personalities like that of the current President; this issue does so in an informed and smart way. By using such distanced characters the story stands on its own as a fantastic piece of horror fiction but an awareness of the current political climate only adds to it. It cannot be stressed enough: this story should be read by every comics fan. Despite how spectacular the opening story is, the value is continued throughout. Kek-W yet again proves he’s hilarious as he develops his ‘Le Due De L’Omelette’ adaptation which is made all the more beautiful by Lee Carter. That’s not the end of Mr W’s wit however, as the great ‘Coffee Pot of the Old Ones’ shows he can poke fun at more than one great American writer. Lovecraft better watch out, Poe might not be the only target anymore. The closing prose pieces are surprisingly poignant. At this stage it is to be expected that anything in an AHOY book should be far and away the best thing on store shelves, and yet theses three stories still manage to be shockingly real. ‘Cubed’ tells a story somewhat similar to an old Morrison Future Shock in which a driver must bid farewell to his sentient operating system within his car. Cushing’s ‘A Brief History of the Rest of My Life’ is like the opening to Up but with added depression and a little more cynicism. Which leaves ‘The Day After They Rounded Up Everyone Who Could Love Unconditionally,’ which is as cheerful as it sounds. Despite the negative tone, these stories are masterful in their use of prose and all writers should be proud. The accompanying illustrations are also wonderful. In possibly his most needed contribution yet, Hunt Emerson’s cartoon brings a smile back to readers’ faces as the end the issue on a happier note. After such a glowing ‘The Good’ section what can you really expect? If there were to be any negatives to this issue, it is possibly the most ‘literary’ in the sense that those unaccustomed to Poe will be the most out the loop yet. Does that mean they can’t enjoy the book? No. Would they enjoy it more as a fan of Poe? Probably. Maybe you have a friend obsessed with Edgar Allan? If so, here’s the best recommendation you can give them. American Liberal’s journalist: Edgar Allen. Each issue of this book improves on the last. Edgar Allan Poe’s Snifter of Terror is well worth reading if you consider yourself a fan of comics at all. It is by far the best Edgar Allan Poe-inspired book on the market today. In this issue especially, it helps to have an awareness of Poe's work.